digestive system where most probiotics fall short. Our Customers have seen amazing response from our different formulas, from better skin and coats, to more mental awareness/attitude, better weight management, less digestive disorders and of course overall health and appearance. 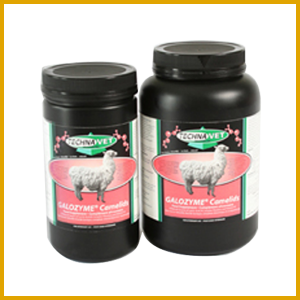 From small to large dogs, cats, llamas, alpacas and birds, we have had great success in helping your family friend have the comfortable healthy life style that they deserve. 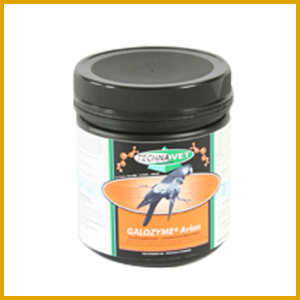 Try one of our Galozyme® formulas today and see the difference. Your pets will show the difference. “One of my GSD has been troubled for several years with allergies that have required medication etc... he is fed a high quality diet, however even with medication he constantly scratched and his coat quality was very poor. Often during the winter and summer months he would have loss of hair and skin infections. He was slowly introduced to this supplement and the change has been truly remarkable - he is no longer scratching and has a full coat and the real miracle is he has been taken off the allergy medication and doing fabulous. I am very grateful that his quality of life has improved. 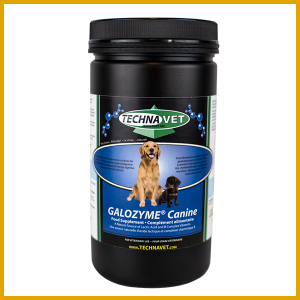 My other GSD's who don't have allergies are on this product and they are doing fantastic on this product.